Taliban Leader Vows To Attack D.C. "Soon"
The top Taliban commander in Pakistan promised an assault on Washington "soon" - one he says will "amaze" the world. "Soon we will launch an attack in Washington that will amaze everyone in the world," Baitullah Mehsud told The Associated Press by phone. Mehsud also claimed responsibility for Monday's attack on a police academy outside the eastern Pakistani city of Lahore, saying it was in retaliation for U.S. missile strikes against militants along the Afghan border. Mehsud and other Pakistani Taliban militants are believed to be based in the country's lawless areas near the border with Afghanistan, where they have stepped up their attacks throughout Pakistan. 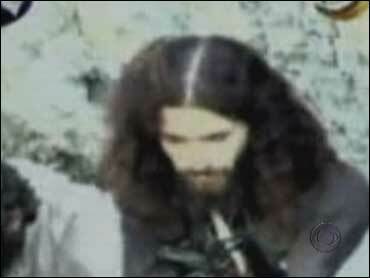 One year ago, CBS News security correspondent Bob Orr reported that U.S. intelligence officials were increasingly concerned that Mehsud could eclipse even Osama bin Laden as a threat to America. The U.S. recently announced a $5 million bounty on Mehsud's head. Asked about it, he told the AP he would be happy to "embrace martyrdom." Mehsud has made voluminous threats against the West for years, as he rose to his current stature as the head of the Taliban in Pakistan, and he gave no apparent specifics in his threat on the U.S. capital on Tuesday, notes CBS News' Sami Yousafzai in Peshawar. The attack on the police academy outside Lahore left at least seven police officers and two civilians dead on Monday. Determining who actually carried out Monday's brazen assault on the police may prove difficult, if not impossible, in a country where numerous militant groups and tribes overlap and cooperate - both in acts of terror and claims of responsibility. Conflicting Mehsud's claim, Pakistani intelligence officials based in Lahore told CBS News' Farhan Bokhari on Tuesday that Mehsud and the Taliban may not have been directly involved in the siege, based on ongoing interrogations of militants apprehended after the incident. Security agents have not ruled out the possibility that militants from the banned group Lashkar-e-Taiba may have carried out the attack with some support from Mehsud, but the extent of any such link remains unclear. A Taliban source told Yousafzai on Monday, meanwhile, that a group of militants called the Fedayeen al-Islam have been trying for some time to stage high-profile hostage takings to demand the release of Taliban and other militants held by the Pakistani government. At left: Pakistani police officers arrest one of the alleged gunmen (3rd from left) at the police training academy on the outskirts of Lahore, Pakistan, March 30, 2009. Last month's brutal attack on the Sri Lankan cricket team in Lahore was part of that effort, the source claimed. The goal was allegedly to capture some of the famous cricketers riding in the team bus. Refusing to be named, the Taliban source said Monday's attack might have been aimed at taking large numbers of police hostage - which they managed to do, but only until police snipers and commandos got the better of them. The attack on Pakistan's police - who have become regular targets of the Taliban and other militant groups in recent months - came less than a month after the ambush on Sri Lanka's visiting cricketers and underscored the threat that militancy poses to the nuclear-armed country. Interior Ministry chief Rehman Malik, who visited the police academy after the siege, described it as an "attack on Pakistan." "There are two choices: to either let the Taliban take over your country or to fight it out. At this time the nation must unite," he said. The country's information minister Qamar Zaman Kaira congratulated Pakistan's forces who participated in the battle with the militants, saying "they conducted it very successfully."